Broken System: Remote Area Medical Tackles Health Care Gap the U.S. 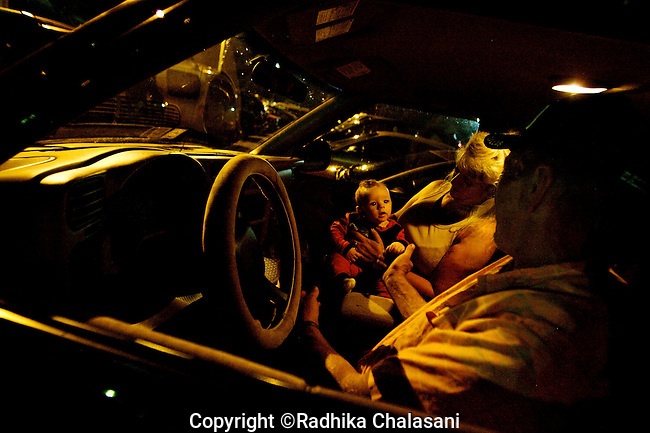 WISE, VIRGINIA-JULY 26: John and Barbara Short play with their 4-month-old grandson, Dante Mullins, while they wait for the gates of the Virginia-Kentucky Fairgrounds to open so they can receive free medical care from the Remote Area Medical (RAM) Expedition July 26, 2009. Barbara works as a cashier and has insurance through her employer, but the $1500 USD deductible is unaffordable for her family . The Short family has been coming to RAM event for 5-6 years for medical care. Barbara Short thinks the government should do something about providing care for everyone, but isn't sure what is the ideal solution.